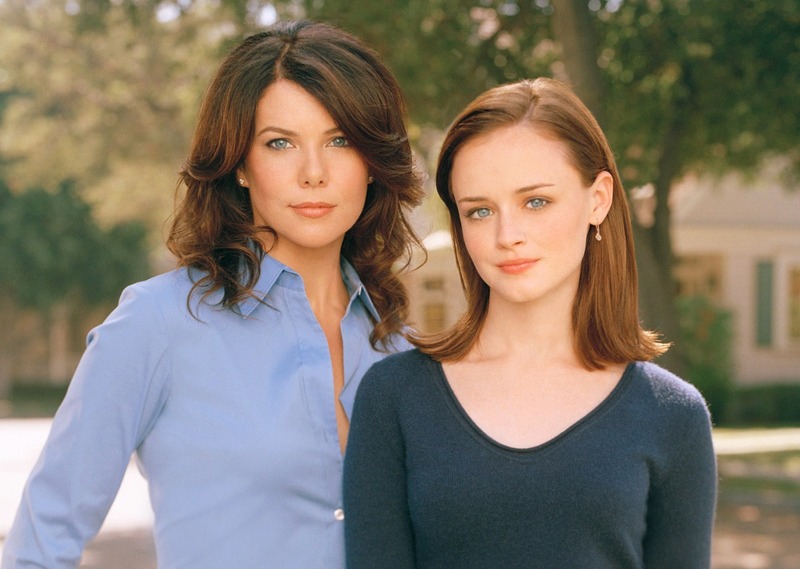 The show follows single mother Lorelai Gilmore and her daughter, also named Lorelai but who prefers to be called Rory, living in the fictional town of Stars Hollow, Connecticut. The town is filled with colorful characters and is located approximately 30 minutes from Hartford, Connecticut. Ambition, education, work, family, and questions of class constitute some of the series’ central concerns. The show’s social commentary manifests most clearly in Lorelai’s difficult relationship with her wealthy, appearance-obsessed parents, Emily and Richard Gilmore, and in Rory’s interactions between the students at the Chilton Academy, and later, Yale University. A show that aired more than 15 years ago, it certainly doesn’t possess the modern technology-driven society that we see today. As someone whose childhood was practically technology-free until middle school, I enjoyed devouring into books with relatable characters all living in a small town. And that’s exactly what this show portrayed: Lorelai and her daughter, living in this town where everyone knew everybody else (even if some of them were a bit snoopy), which created this warm and comforting environment for everyone. I would say that this is what you would call a ‘chick-flick’ TV Series, as the plot always revolves around the girls – their family issues, friendship troubles, boy dilemmas, etc. I just remembered (yes, while writing this) what introduced me to this series. I was reading a book blogger’s blog, and she mentioned The Rory Gilmore Reading Challenge, and the rest is history. The list is full of classics and well-quoted books that is mentioned throughout the series. It’s definitely a really good list. 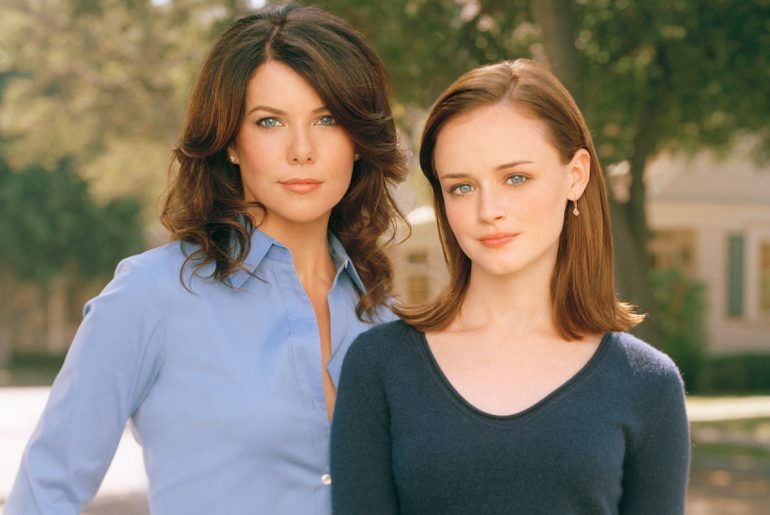 Oh, and I love the actress that plays Rory, Alexis Bledel. She also starred as Lena in The Sisterhood of the Traveling Pants film, where I first fell in love with her acting character. It exposes many family and teen issues that are clearly present in society today. Unresolved bitterness and pride between Lorelai and her parents, Rory’s dating experiences as a young girl and later as a more mature woman, Rory being bullied at school, etc. They are quite simple, but common, experiences, which I like. It doesn’t try to squeeze so much drama into one episode as can be seen in many other drama shows, which just makes everything so overwhelming. The wittiness in the pop-culture and books references makes the show a good laugh. The main characters possess this kind of flair in their dialogue that is spot-on. To be honest, I only watched the show to see Rory’s part of her life. I wasn’t really interested in most issues that went around (such as that of Lorelai’s), which I guess is due to my un-relatability to her lifestyle. Additionally, though the language is clever and well-spoken, I felt that they could have done a better job making each character’s voice unique, and not simply as clever and witty as all the others. Personally, this is not the pumped up action kind of drama series, so at times it was quite low-key, which is why I didn’t continue watching the last few seasons. The show portrays a very down-to-earth fictional lifestyle. I often find myself nostalgic of the book series that kept me company during my childhood, and this show reminded me so much of it. The cozy small town, the dynamic range of warm people, the friends that live just walking distances away, the boyfriend at the market – all of that makes the environment so perfect. I don’t exactly live in a ‘big’ city, but I just wish I could have had a close-knit community instead of an indifferent and sparse one. If you’re a guy, I would love to hear your opinion regarding this show if you have watched it (or are planning to). If you’re girl, share your thoughts as well! Fun fact: There will be a Gilmore Girls Revival (available on Netflix) in the near future!! It will consist of 4 90-minute episodes.